We are all aware of the dire condition of the global environment but still we are not consciously trying to lead a greener life. A greener way of life means that you actively try to reduce your carbon footprint and take steps for making your surroundings pollution free. 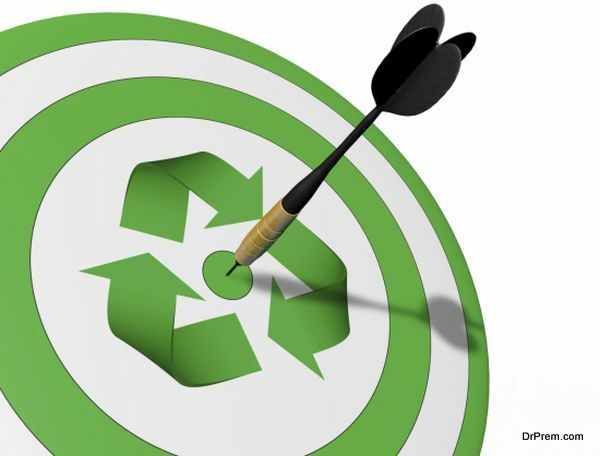 Many people boast that they understand the value of going green and support recycling drives but do not actively participate in keeping the environment clean and green. If you really want to do something to keep your surrounding clean then you should try to maintain a green lifestyle. You need not spend huge sums of money for going green. It can be done easily by following some simple methods. One thing that people fail to understand is that every decision they make have a direct impact on their surrounding environment. The home appliances you use and the sort of food you consume daily all are affecting the global environment in some way. For producing and transporting meat, many different natural resources are wasted. Transportation of food causes pollution because petrol and diesel have to be burnt in the process. We use our cars even when not necessary. The distances that can be covered easily on foot are traveled in cars. In our daily life, unwittingly we do many things that directly and indirectly cause pollution. To maintain a green lifestyle you have to think carefully about your daily activities that cause pollution. Even educated people do not take going green seriously. For a long time the environmentalists have been predicting disastrous global climatic changes. Nothing bad has happened yet and people have now stopped feeling worried about their warnings. There is a misconception that only people with lots of money and time can lead a green lifestyle. It is not for the common person. This is definitely not true. There are many things that you can do to curb your daily carbon emissions. If possible, start recycling all old stuffs rotting at your home. Reduce wastage of energy and buy appliances that consume minimum energy. If the government and political parties start spreading awareness in a more comprehensive way and encourage recycling as a part of life people will get a better chance of leading a greener life.